New Year’s resolutions –– we all make them. We promise ourselves we will exercise more, travel more, create more, but how often do we follow through? The inevitable demise of New Year’s resolutions has become a running joke. Heck, it’s even capitalized on. There’s a reason why gyms offer heavily discounted memberships in January, knowing full well that newly motivated gym goers will stop showing up by the next month. We’re all guilty of failing to carry out our resolutions. The pattern usually goes something like this. We start off strong. With yogi-like diligence, we focus all our energy into our newfound goals. Then one day, life gets in the way, and we’re thrown a curve ball. Maybe a wave of bad weather means we can’t run outside anymore, or a flat tire cases us to dip into our travel fund. Or maybe we’re just burnt out and need a day off to relax. But a day turns into two days and two days turn into two months, and now we’ve decided to say screw our resolutions and just try again next year. Change takes time. It doesn’t magically happen just because you buy a new calendar or because a giant crystal ball drops on national television. But that doesn’t mean you can’t work towards personal goals or develop better habits throughout the new year. Notorious for picking up projects and not completing them? Try starting small. 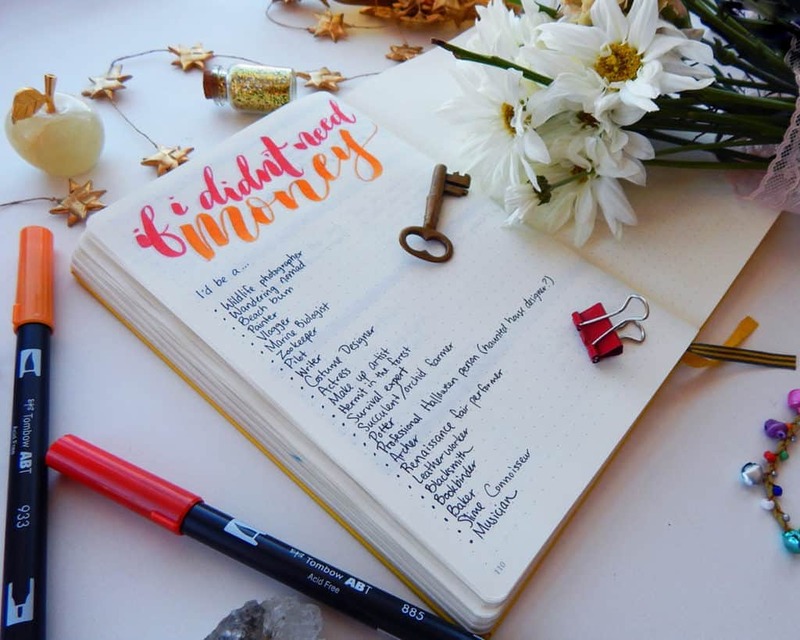 Why not keep a bullet journal? Journaling is extremely rewarding and self-serving. Journaling daily will make you feel accomplished and motivated to start and finish other projects in your life. 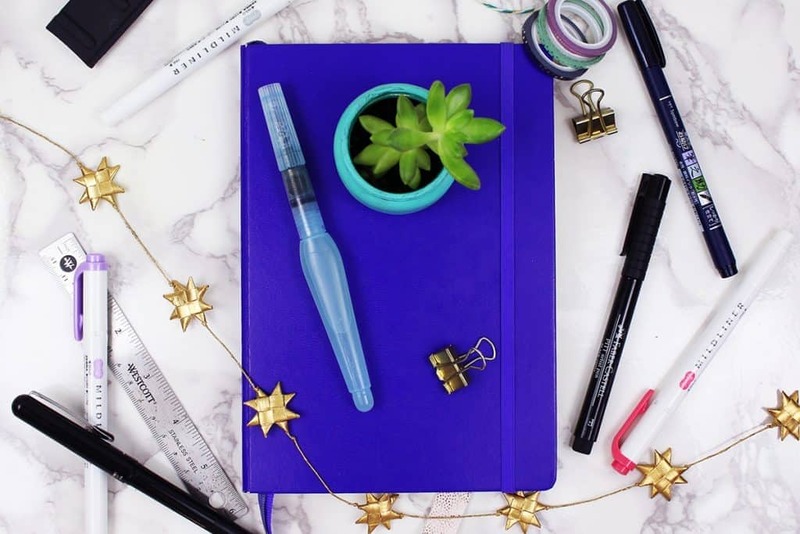 If you’ve never kept a bullet journal and aren’t quite sure where to start, take a peek at our bullet journal cheat sheet. Sometimes to really find what you are passionate about you need to let your imagination run wild. A great way to do this is to create a list of what you would do if money were not a concern. The idea behind an If I Didn’t Need Money list is simple. Just write down a list of things that you’d want to do if you didn’t have to worry about paying the bills every month. Maybe you’d be an archaeologist, a botanist, or a professional comic book collector. The point isn’t to get you to quit your 9-5 and have you travel to Egypt to dig up ancient ruins (though that would make for a good story!). Rather, an “If I Didn’t Need Money” list is meant to help you get back in touch with your interests and child-like curiosities. You’ll become aware of your passions so that you can find ways to incorporate them into your day-to-day. 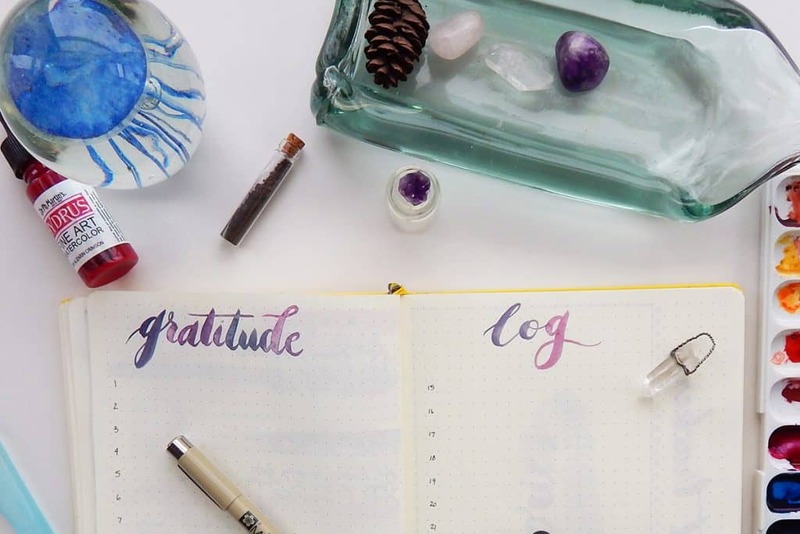 A gratitude log is a great way to stave off negative thinking and keep you positive this new year. Reflect on your day and write down your blessings. Even if you’ve had what feels like the worst day of your life, a gratitude log will help you find something to be thankful for. Eventually, you’ll come to realize that even the cloudiest days have a silver lining. 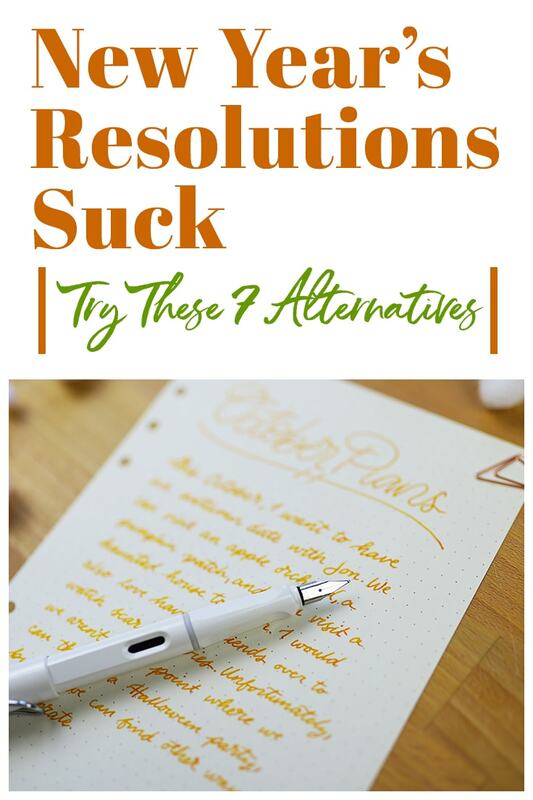 Still in love with the idea of New Year’s resolutions? Keep a daily habit tracker. 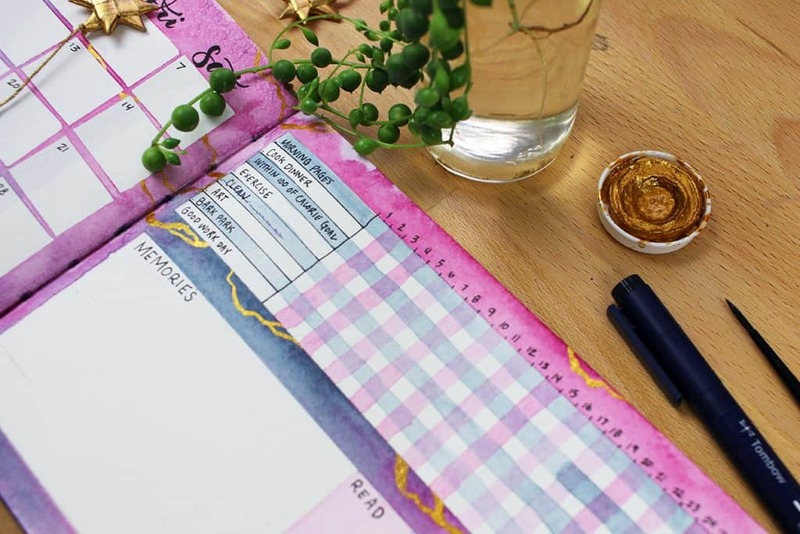 Habit trackers make your goals tangible, helping you monitor your good and bad habits. You’ll be able to track how often you’re performing good habits and motivate yourself to continue them. Need a little extra help setting goals and motivating yourself? This post has you covered. Life moves fast, and it is important to take a bit of time each day to slow down and gather your thoughts. For instance, morning pages are a great practice to try in addition to keeping a bullet journal. All it requires of you is to write three pages every morning. Release whatever you’ve been carrying with you onto the pages. Anxieties. Deadlines. Stress. 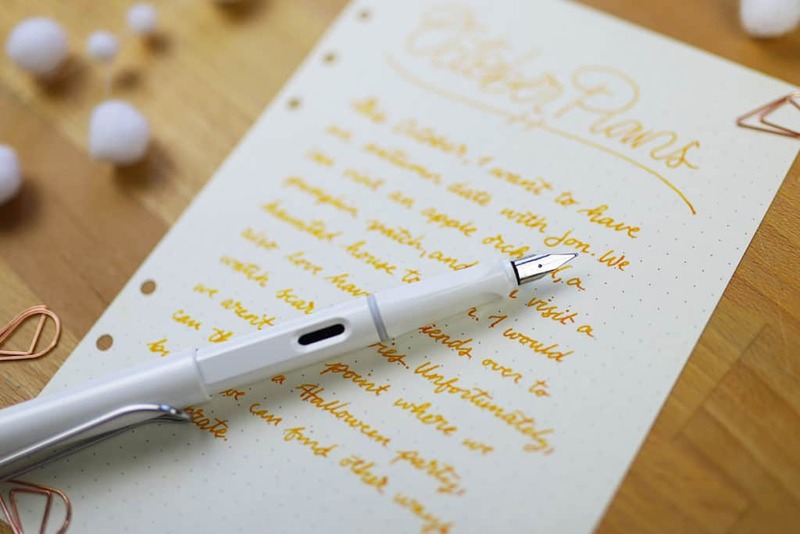 Morning pages give you the chance to put pen to paper and just write. Write whatever pops into your head. It doesn’t need to be pretty or have substance. It can even be a shopping list. Morning pages are your sanctuary, your therapist, and your guide. They’ll heal you, and help you gain confidence and the mental clarity to focus on the day to come. So, there you have it! 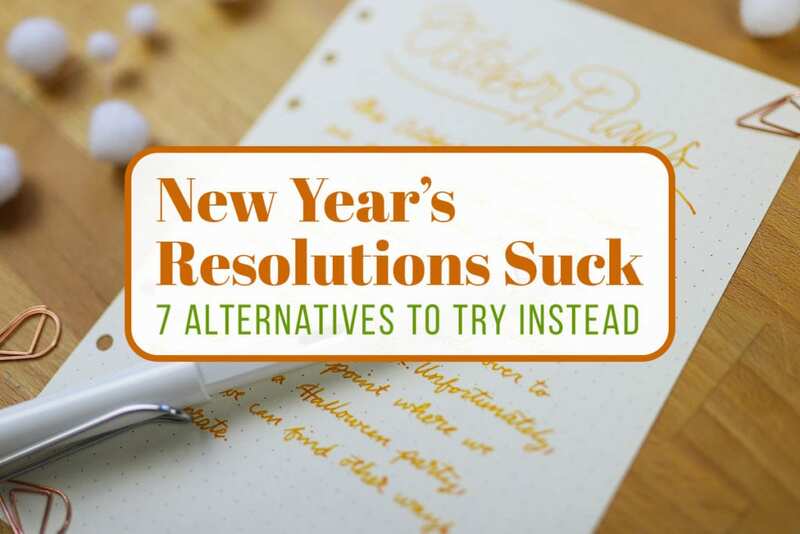 This 2019, ditch the New Year’s resolutions and work towards a happier and “better” you instead. This is the best email that I have received all week. It just seemed to relax me a bit. Thank you. That’s really wonderful to hear Janey. We are glad it brightened your week! Yes, gratitude logs are amazing Jeanette! I think we all have those moments where our minds are blank. It’s totally normal.